Hi friends! I hope you all had a great weekend! We are kicking off this week and month with a fun new Lawnscaping challenge! Woohoo! 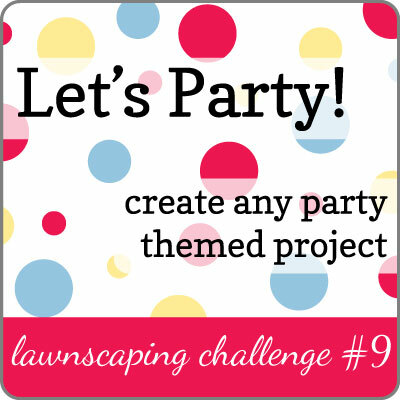 The theme for challenge #9 is Let's Party! YAY! Who doesn't love a good party? You can make anything that's party related ie showers, birthdays, graduations, housewarmings, etc... And you aren't limited to cards either! You could make party favors, layouts, invitations, etc... Have fun! 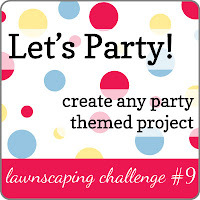 And don't forget to link up your project at the Lawnscaping Blog. 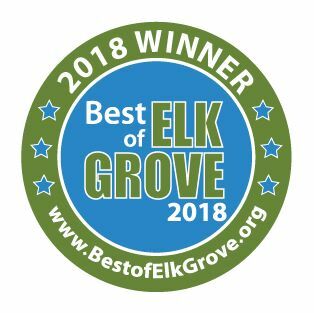 We have a GREAT sponsor this time as well! Simon Say Stamp is sponsoring us again! This shop has so much awesome stuff! I love shopping there! 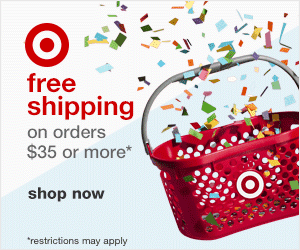 The prize is a $25 gift certificate to their store! Here's my card for this challenge. I decided to create a little scene using Critters in the Burbs and Hats off to You. The stamped part of the sentiment is from Just My Type, Too. The paper is Echo Park Summertime. And our special guest: Winter! I just love this. LOVE! Such a happy, cute card! This is so cute. I just love how you added the hat! Cute, cute, cute! They are really ready to party! Love it! Oh my goodness, what a fun and happy card! Perfect for any celebration. I love it! 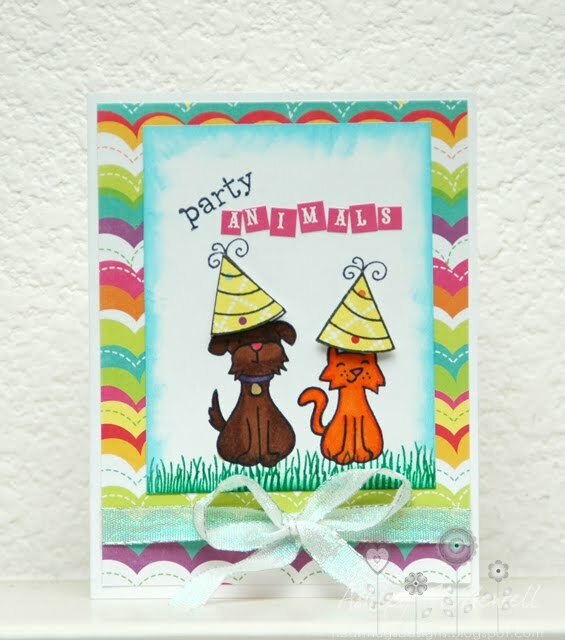 Love the party animals card! Super cute! !